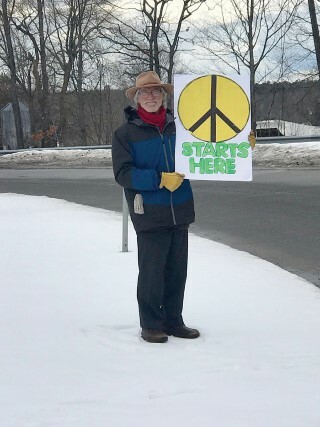 Between 12:15 p.m. and 12:45 p.m. at the Windham rotary this coming Sunday, April 21, you will see signs of peace held by individuals who are taking action with the intention and hope of moving toward a more unified society – honoring all varieties of perceptions in a diplomatic manner. The signs will include sentences that might say: “Peace starts here”, “Peace Now” and “Let there be peace”. Last month, the signs invoked honking horns from passersby in agreement that the world could move in a more integrated direction. This Sunday will be the second of a monthly Peace Vigil that will continue to meet at the same time and place on the third Sunday of each month. Anyone who wishes to join this group of peace activists are welcomed to do so. Seery explained how it all began. 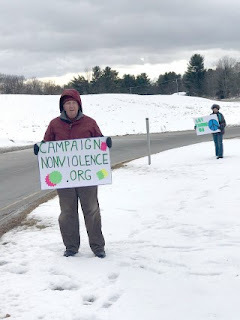 Five years ago, members of the Unity Center for Spiritual Growth located on River Road in Windham (formerly known as Unity Church of Greater Portland) began studying the likes of Gandhi and Martin Luther King, Jr as part of their “season of non-violence” examination. 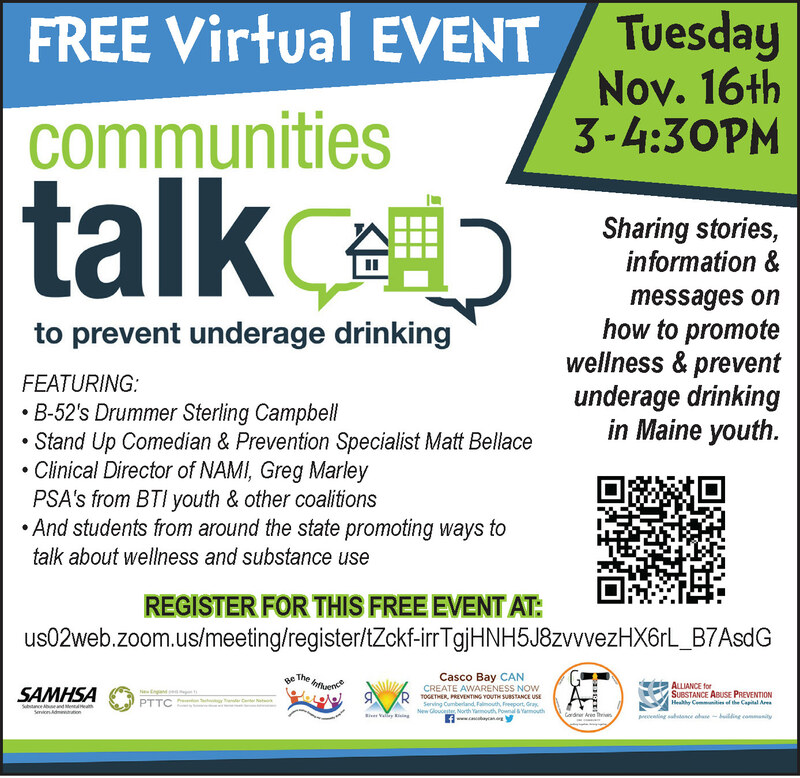 As a result, Unity has collaborated with other organizations including Saint Joseph’s College of Maine, to bring in well-known speakers and non-violent activists to the area. One such event was published in an article written by The Windham Eagle Reporter, Elizabeth Richards, in March 2018 – that of Peace Activist, Father John Dear, who spoke on nonviolence at Saint Joseph’s College and at Unity. Fluker went on to state: “Before Montgomery, his [King’s] understanding of nonviolence was confined to an abstract association of ideas and readings from his intellectual pursuits, but in the midst of the struggle he came to understand its power to effect change, both in society and within the votary him/herself. It is also important to understand that nonviolent resistance as a viable alternative for social change had been debated and attempted by the black leadership long before King emerged as a proponent of the method. Initially, the method of the movement which came to be called nonviolent resistance was conceived in the hearts of the black people of Montgomery as "Christian love." And, that’s the sole purpose (or perhaps the “soul” purpose) of the efforts of the Unity members who studied non-violent and peaceful approach to a chaotic society – a creative weapon of love and peace. 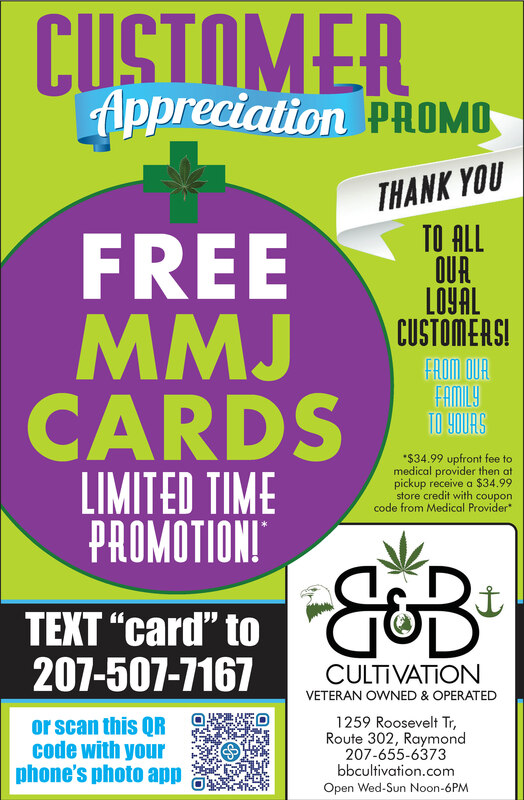 Legalities aside. “We have received a lot of honking horns in support of what we are doing and our role in a peaceful approach,” Seery said. As Gandhi has famously been quoted, “An eye for eye makes the whole world blind.” King’s response? “There is another way.” Members of Unity may be following that other way. If you are interested in joining this small group of peace enthusiasts, you can either show this Sunday at the rotary or, for more information, contact Seery by email at jseery53@gmail.com. 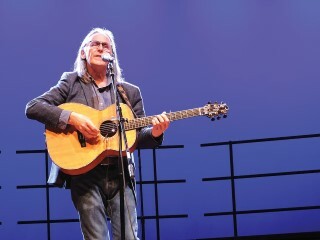 Internationally renowned for his song, “Caledonia” as well as a composition featured in the movie, “Last of the Mohicans”, Dougie MacLean from Scotland performed to a crowd of approximately 300 last Wednesday, April 10 at the Windham Performing Arts Center. 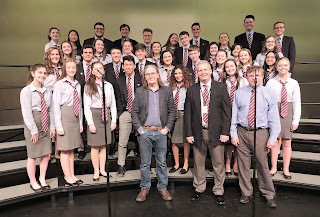 The singer-songwriter, who played a few scores with the Windham Chamber Singers, provided an interactive concert, sharing tales and encouraging the audience to sing along; crafting a harmonious musical adventure. "I loved the way he wove his story, telling us a bit of the background of his songs along with gently coaxing us into true audience participation," stated one audience member, Barb Hunt Maurais. "Of course, the songs and his guitar playing skills were amazing. What a treasure." If the audience’s laughter, participation and - sometimes tears as a result of the melodic beauty - is any indication, then Maurais’ assessment of the evening was correct. He was adored by all. 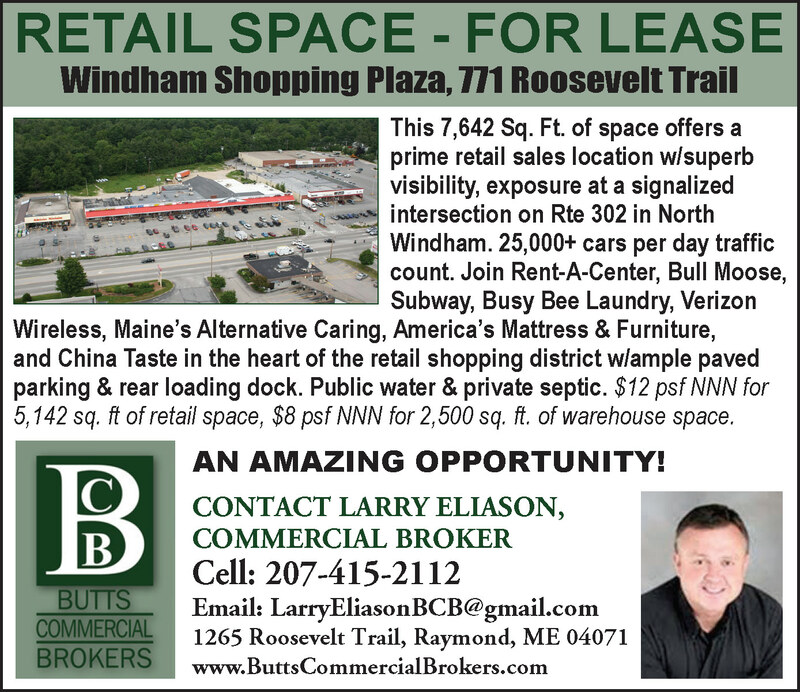 Most fans of Dr. Richard Nickerson, conductor of the Windham Chamber Singers, are aware of the story and how the adoration of MacLean began in 2011. Nickerson and his new bride, Linda, honeymooned in Ireland where they heard and enjoyed the song, “Caledonia” for the first time at a local pub. “I knew I wanted to incorporate the musical composition into a choral arrangement to be sung by the Windham Chamber Singers,” Nickerson explained. But in order to do that, copyright and other legalities were required. Nickerson reached out to MacLean, who not only gave him his blessings for the rights – but also helped Nickerson compose the song specifically for the chorus. As a result of this communication Nickerson had with both Maclean and his wife, Jackie (who addresses all correspondence for the famed musician), the opportunity for this special performance on Wednesday was created. “Jackie sent me a message,” began Nickerson. “She told me that Dougie was going to be on tour in the U.S. and had an evening available to perform. She wanted to know if Windham would enjoy experiencing a concert by him.” Nickerson responded with an unequivocal yes. The Lakes Region was very lucky to have such renowned talent in their midst. The Windham Eagle reached out to MacLean, who happens to still be on tour as of this publication. His wife responded within an hour and provided a bit of his biography to us, “Dougie’s performances have carried on apace though over 40 years with great tours and festival appearances in England, Wales , N. Ireland, Holland, Belgium, Germany, Denmark, Canada, the USA, Spain, Australia and all parts of Scotland. Nickerson was not the only one who was moved by MacLean’s invitation. 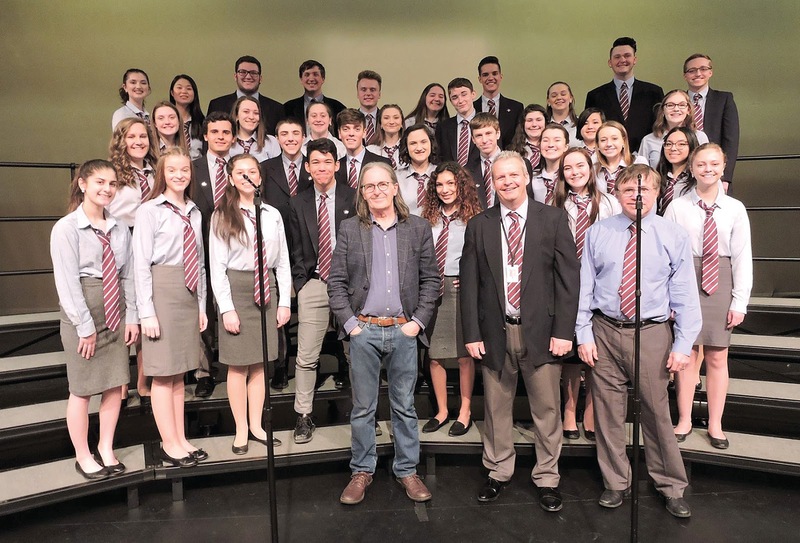 “After hearing it many times, it still brought goose bumps when Dougie invited the Windham Chamber Singers to join him for ‘Caledonia’,” stated Jim McBride, another member of the audience. “It was another proud moment for Windham to have a world-class talent on stage with our students. Schoolhouse Arts Center opened the first show of its 30th season last weekend with an uproarious rendition of “Noises Off!”, a farcical look at the world of theatre. I had the pleasure of attending the dress rehearsal, which unfolded far more smoothly than the dress rehearsal portrayed on stage. exaggerated) glitches that arise. And if you haven’t, your perception of live theater may be forever changed once you’ve seen this show. The audience received a glimpse of how each character would evolve from the moment each made their initial appearance on stage. The talented cast built upon these initial impressions throughout the show, creating characters that worked in perfect sync with one another. Through facial expressions, body movements, and flawless timing of remarks and gestures, the distinct personality of each character emerged. By the end of the show I felt as though I knew each character personally and could anticipate what might come next, though there were plenty of twists throughout. The first act details the final dress rehearsal of a touring show about to open. Although it soon becomes clear that things aren’t running quite the way they should, there’s a hopeful air that it will all come together in the end. But by the end of the act, with personal lives revealed bit by bit and a love triangle emerging, it’s clear that the run may not be so smooth after all. The second act, set a month later, gives a backstage glimpse of how poorly things have gone. It was this act that highlighted just how talented this group of actors (the Schoolhouse cast, not the fictional cast) is. The pace is quick and frenzied, but the show moved smoothly along, with so many side stories overlapping all at once that it was difficult to keep track of all the action. Everywhere I looked there was a hilarious moment unfolding; I hate to think of how many I missed. In the third act, back on the set of the fictitious show two months later, it’s clear that the entire production has devolved into total chaos. And yet, the (fictional) cast embraces the idea that “the show must go on,” moving through every missed entrance, unexpected arrival, and set failure as though nothing unusual has happened at all. The physical comedy alone makes this show worth seeing. Comedic timing was right on, and there was often no way to determine if what had just happened was part of the script, or an actual glitch in the rehearsal. Everything worked so well that it simply didn’t matter. As impressive as the acting and flow of the show was, the set showcased the backstage talent at Schoolhouse Arts Center. Two stories high, with detachable stairs and ladders, the entire thing had to rotate between each act. The show has two 15-minute intermissions to accommodate this rotation. I recommend staying in your seat for one of them, just to see the feat accomplished. It’s a real life look behind the scenes that added another level of interest to the production. “Noises Off!” is a production that shouldn’t be missed. In fact, with all the action happening simultaneously, you might want to see it more than once to catch anything you may miss. There are four shows remaining in the run, on Friday, April 12th at 7 pm; Saturday April 13th at 2 pm and 7 pm; and Sunday, April 14th at 2 pm. The show is rated PG-13 for language and innuendo. Tickets can be purchased online at www.schoolhousearts.org. On a blustery Saturday in late March, a team of Windham High School students traveled to the University of Southern Maine’s Gorham campus to compete with mousetraps, calculators, and batteries. Maine’s annual Science Olympiad competition, which dates back to 1986, brings together teams of students from middle and high schools across the state. Maine Science Olympiad’s events range from tests on subjects as far-ranging as herpetology and forensics, which are written, administered, and graded by a group of dedicated volunteers who follow national standards, to “build” competitions where students design and construct something beforehand which is then tested and evaluated by volunteers on the University of Maine campus. The entire event is a celebration of math, science, and engineering. 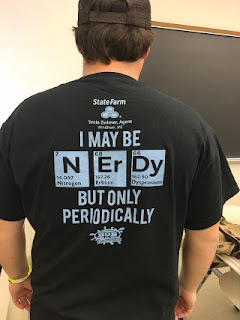 Windham High School’s team T-shirts poked fun at popular perceptions of science by using the symbols for nitrogen, erbium, and dysprosium from the Periodic Table of the Elements to spell out: NErDy. For the build events, Wirtz said, students are required to bring their completed machines as well as their test and run logs to the competition. As we spoke, the Mousetrap Car competition ran in the background. For this event, high school students constructed a vehicle powered entirely by the snap of two mousetrap springs. To compete, the mousetrap car needed to push a cup eight meters, then stop, and then travel in reverse. and baking soda to inflate a balloon, filling a container with water in order to lift a golf ball, or using electricity to break a string. My young assistants and I watched the Windham High School team set up and run their Mission Possible machine. As we waited, the volunteer judges examined the machine carefully and asked a few questions about the batteries. 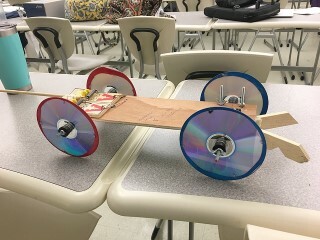 The Mousetrap car that won second place. After a few last-minute adjustments, Desmond and fellow student, Cordelia Inman put their Mission Possible machine into action. A water balloon inflated, balls rolled down ramps, a string snapped, and finally a little engine whirred into action, slowly raising a wooden platform holding the single nine-volt battery. “I want to see it again!” my four-year-old assistant declared. I promised him that, if he works hard enough in school, he could one day be on the Windham High School Science Olympiad team. Students Owen Flibert and Kiril Perederil also took third place in the Forensics competition. 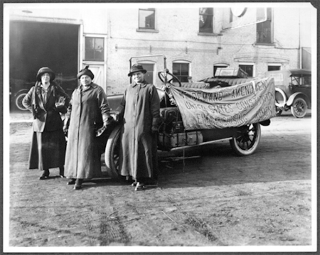 In 1915, three women drove across the country in an Overland Six automobile, from San Francisco to D.C. with the sole purpose of gathering and delivering over 500,000 signatures on a petition to Congress and President Wilson, demanding women’s right to vote. the initial journey. She shared her own story as well as that of the three women who made the arduous trip in a presentation last Monday evening, March 25 at the Little Meeting House in Windham, hosted by the Windham Historical Society. The trip was sponsored by the Congressional Union for Woman Suffrage (CU), a small but mighty group led by Alice Paul that was determined to win voting rights for women through an amendment to the U.S. Constitution instead of the much slower strategy, pursued for decades, of winning it state by state. The CU set up a booth at the Panama Pacific International Exposition in 1915 and spent months gathering signatures on a petition demanding an amendment to the U.S. Constitution enfranchising women. However, there needed to be a way to get those signatures to President Woodrow Wilson and Congress in Washington, D.C. Paul decided that a cross-country road trip was the answer. This would permit gathering more signatures in the states they visited, and would also generate badly needed publicity for their cause. Gass also explained that they had three gas cans filled with water, oil, and fuel stored on one side of the vehicle because gas stations were not as plentiful and easily accessed as one would experience today on a cross-country trip. Despite their challenges, the road trip provided opportunities for signatures and education to the public, with Field informing those who gathered in town squares, etc. about suffrage and encouraging people to support voter rights. Making it to D.C. in time and impressed by the size of the petition, the President expressed his admiration and said he would consider their demand. Although it took another five years, the 19th Amendment to the Constitution, finally ratified in 1920, opened the polls to women. The three women, plus the 500,000 signatures, helped pave the way for women winning the right to vote. 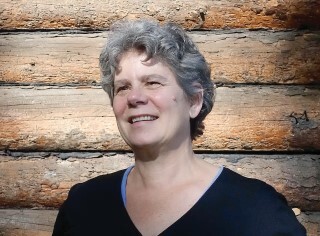 Anne B. Gass is the author of “Voting Down the Rose: Florence Brooks Whitehouse and Maine’s Fight for Woman Suffrage”, published in 2014. She is the great-granddaughter of Florence Brooks Whitehouse who led Maine’s branch of the CU, working closely with Paul, Lucy Burns and other well-known suffragists. Gass’s great-grandmother was present in D.C. to greet Field, Kindberg and Kindstedt after their long three-month trip. Gass lectures regularly on Florence Brooks Whitehouse and Maine suffrage history at conferences, historical societies, libraries, schools, etc. She serves on the Steering Committee of the Maine Suffrage Centennial Collaborative, a diverse group of organizations from across the state working to promote the one hundred year anniversary of woman suffrage. To have Gass speak to your group, contact her at agassmaine@gmail.com. Last Wednesday, as the bright March sun melted the remaining snowbanks on Saint Joseph’s campus, a group of businesses, community members, and college students gathered to focus on their futures and, together, to help advance the future of our state. The annual Saint Joseph’s Career and Internship Fair, which was re-scheduled for March 27 due to a snowstorm on the original date in February, provided an excellent opportunity to build networks and connections which may lead to internships, jobs and, ultimately, a successful professional life in Maine. With over 60 employers in attendance from fields as diverse as banking, law enforcement, mental health services, and recreation, the Career Fair represented a large swath of the southern Maine professional community. 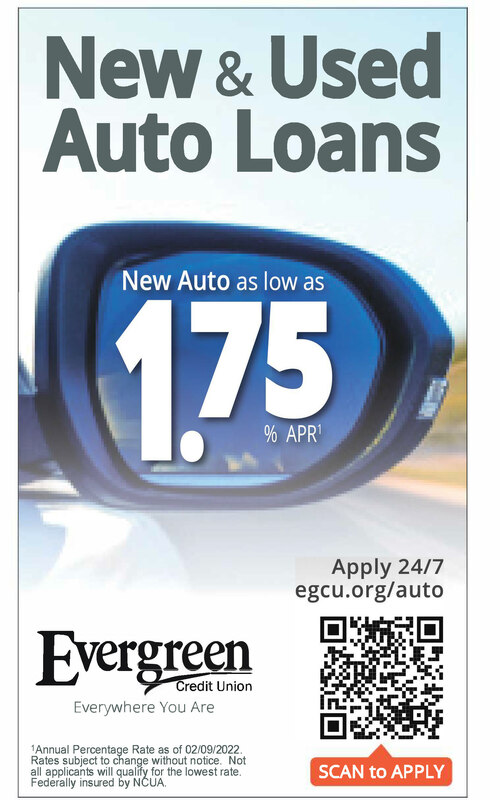 “It’s great to see this number of employers,” explained Muhammad Humza Khan, a Talent and Diversity Specialist with Bangor Savings Bank. “And, the students I’ve met are very impressive,” he added. 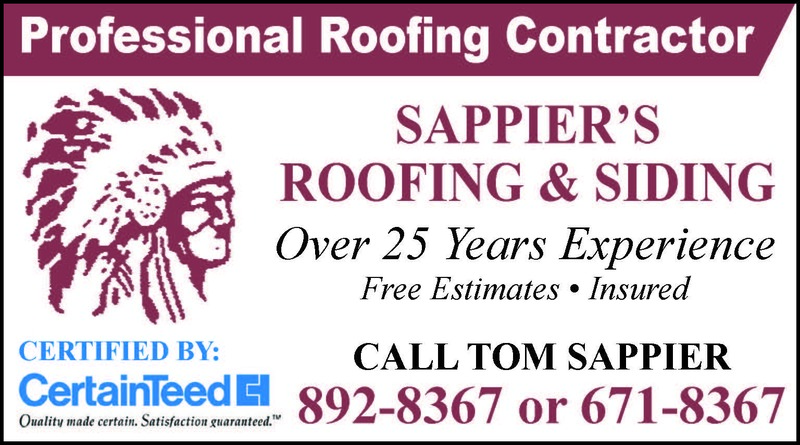 While the Career Fair has a very strong connection to Saint Joseph’s, this event is always open to the entire community. Laurie Murphy, Assistant Professor of Human Resources in Saint Joseph’s Business Department, explained that this event is an opportunity to support the Maine economy and connect motivated, talented workers from the college and beyond with local employers. The fair also provided Saint Joseph’s students with an intensive hands-on opportunity to participate in planning, managing, and running a large event. Over thirty students volunteered their time and expertise to make the fair a success, according to Steve McFarland, the Director of Career Development at Saint Joseph’s. Student involvement in the Career Fair ranged from running the check-in counter during the fair to reviewing resumes and LinkedIn profiles for fellow students and members of the community alike. 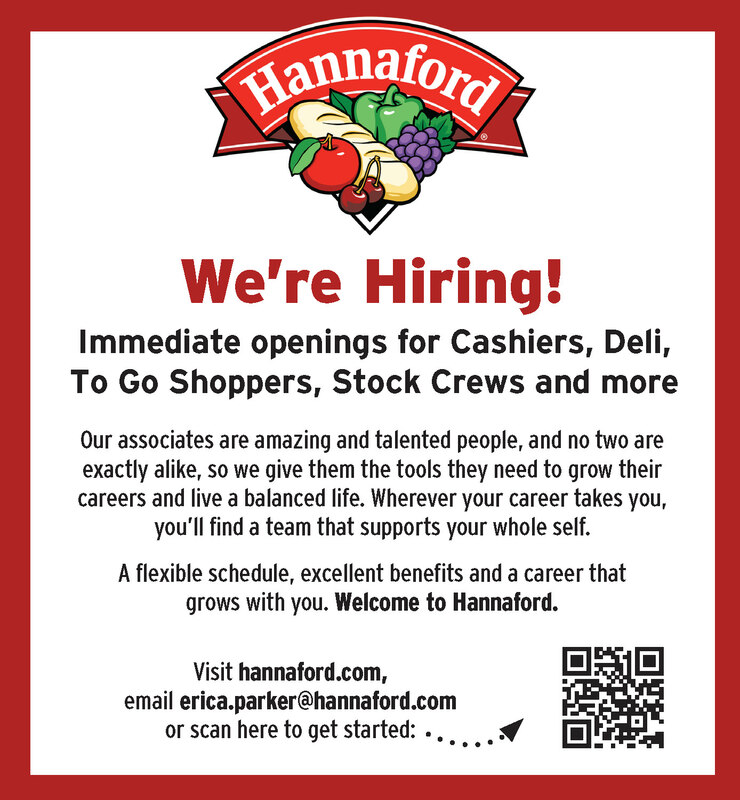 Students even suggested new employers to invite. Tri-County Mental Health, McFarland said, was attending this year’s Career Fair thanks to a suggestion from a current Saint Joseph’s student. Students were even volunteering at the photo booth to offer all attendees the opportunity to sit for a professional portrait. “This is an all-campus undertaking,” explained McFarland. Historically, the students’ efforts have certainly paid off. 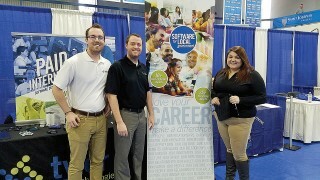 Last year, McFarland stated that several Saint Joseph’s students met their future employers during the Career Fair. One of those students, Steven Albert, found his position as a management trainee at Enterprise during last year’s fair. He returned to the Saint Joseph’s campus last Wednesday to represent Enterprise’s Portland branch and their Management Training program. 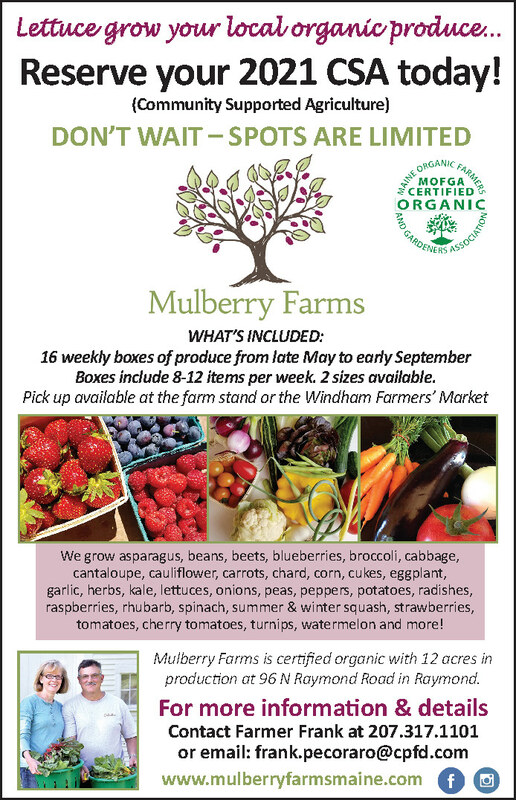 “This is really ground-up training in how to run a business,” Albert said. And it all began with a handshake over the Enterprise table in the same room one year ago. Other Saint Joseph’s alumni in attendance worked for Covetrus, a software company in Portland who designs technology to serve veterinarians and their teams, and Tyler Technologies in Yarmouth. “We’ll recognize a lot of students who come through today,” explained Danielle Capozza, an Associate HR Representative at Tyler Technologies, who was one of three recent Saint Joseph’s graduates representing Tyler Tech at the Career Fair. This personal connection to a fellow classmate can make networking and job hunting much less intimidating, explained Alyssa Theriault, a current HR Management Major at Saint Joseph’s and one of the student volunteers who helped to organize the Career Fair. “I found an internship here,” Theriault said, explaining how a connection made at last year’s Career Fair led to her summer internship position with Norway Savings Bank. “It was a great experience,” she told me, with a cheerful smile. Yet this annual Career and Internship Fair helps to build more than individual careers. “Many of our alums want to stay in Maine,” Murphy explained. This Career Fair gives the talented young students at Saint Joseph’s, and the larger community of Windham and Raymond, a chance to connect with employers, to learn of opportunities they may not have imagined, and to envision themselves building their career in Vacationland. According to Theriault, living and working in Maine after graduating from Saint Joseph’s is an easy sell for most of her classmates.